Subsumptive analogies: Unless you write ad copy, stick to regular similes instead. 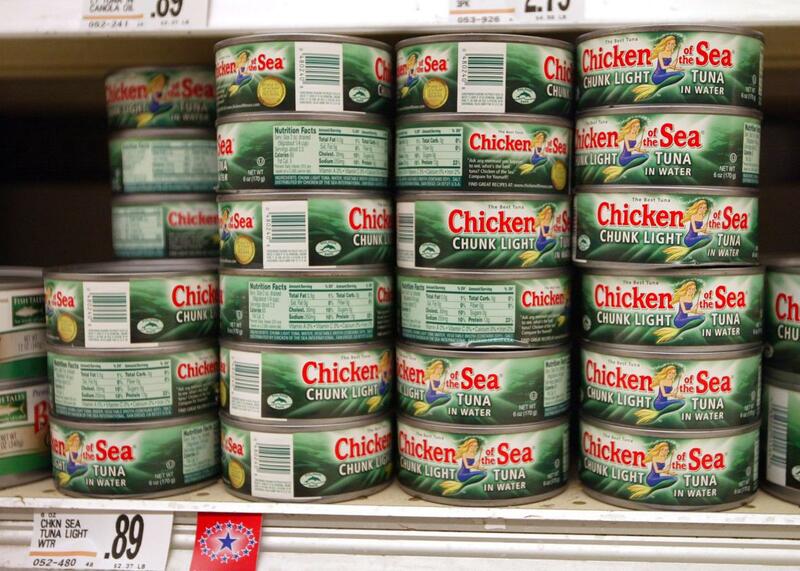 Dear Chicken of the Sea: If chicken’s so great, why not just eat chicken? Tribal affiliations aside, we should certainly convict Bellow for using a poetic construction that almost never ends well. The Tolstoy of the Zulus. The Yale of the Midwest. The Helen of the West Indies. The King of Queens. If garden-variety similes serve to equate two things, these lopsided comparisons force one term to exert twice the gravitational pull of the other. Call them subsumptive analogies. Condescension is usually baked right in. Subsumptive analogies sting because they constrict the domain over which one of the terms operates. (Consider Ralph Wiley’s solution to the Bellow problem: “Tolstoy is the Tolstoy of the Zulus,” he wrote, “unless you find a profit in fencing off universal properties of mankind into exclusive tribal ownership.”) Repackage a subsumptive analogy as a simple simile—rephrase “Vanderbilt is the Harvard of the South” as “Vanderbilt is like Harvard”—and the side-eye vanishes. No longer are you pointing out Vanderbilt’s inferiority to the real Harvard. No longer does the South emerge as a pale reflection of the Northeast. What if Robert Burns had opened his lyric not with “My love is like a red, red rose,” but with “My love is the red, red rose of eligible girls in town”—or, worse, “the red, red rose of eligible girls in town with whom I suspect I have a chance and of whom my parents approve”? The line sounds not like a gift but like a slap in the face. It distracts us from the woman’s red rosehood (the point of the simile); it diminishes her intense beauty by paying undue attention to the limited context in which the statement is true. With analogies, intention matters. In an understated love poem, Elizabeth Bishop invites her partner to “Come, let me wash [your hair] in this big tin basin,/ battered and shiny like the moon.” The simile asks us to dwell quietly on the battered and shiny qualities of the basin—perhaps even to remember lunar lines in a love poem by Yeats: “A moon, worn as it had been a shell/ Washed by time’s waters as they rose and fell.” Reading “The Shampoo,” I am swept up in the tenderness of Bishop’s summons. Both she and her partner may be timeworn and tired, but they shine like heavenly bodies in each other’s eyes. What would I do, on the other hand, if Bishop had termed her basin “the MOON of hair-washing equipment”? I’d buy it.